Austria has lived one of the most surreal situations in the automotive world in recent years. 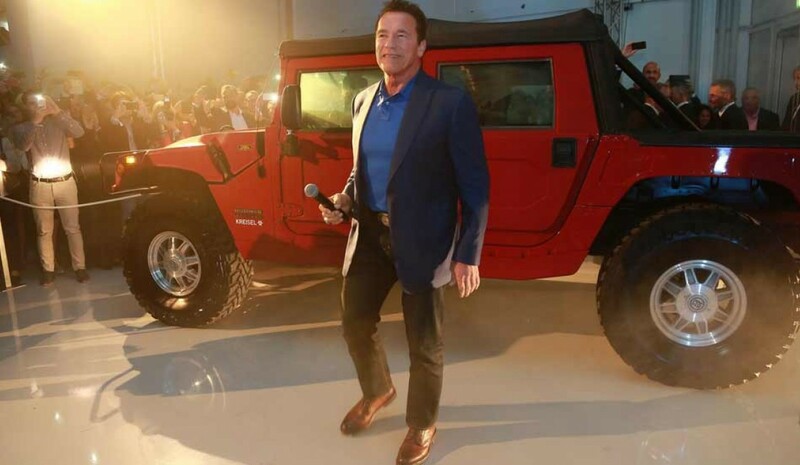 And that is when we said that the market for electric cars can revolutionize the automotive industry, we never imagined it would end up lead to a crazy combination that has put together a Hummer with an electric motor and Schwarzenegger. Thus, signing electric batteries Kreisel Electric He has delivered in Austria the world's first electric Hummer Arnold Schwarzenegger. This company says can rival Tesla as to the quality of their batteries and to prove it has made an icon of combustion vehicles in an electric. For that, Kreisel Electric has provided this Hummer H1 two electric motors combined provide 480 hp all-wheel drive. This leads to the sum of motors and batteries reach 3,300 kg, so it is an achievement that the legendary off-road reaches the not inconsiderable figure of 300 km of autonomy and 120 km / h top speed. "A vehicle to drive through the countryside without arousing the sheep", Said Markus Kreisel in a presentation in which there have been jokes, taking advantage of the opening of a store of the firm in Austria. And, despite the image we might have of Schwarzenegger, the bodybuilder, actor and politician is committed to the spread of electric vehicles, so it is not the first time Kreisel Electric electrifies one of its most beloved models. Schwarzenegger also has a Mercedes G-Class which emits no harmful emissions. Austrian has not wanted to miss the opportunity to joke about his new vehicle and said that if Kreisel Electric continues to advance its project, next time will travel in an electrical plane.